Introduction: The Sukanya Samriddhi Yojana (SSY) was launched as a progressive initiative under the “Beti Bachao Beti Padhao” campaign. 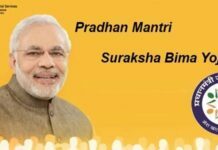 Launched by PM Narendra Modi on 22 January 2015, the Sukanya Samriddhi Yojana is a small deposit scheme for the girl child in India. The Sukanya Samriddhi account can be opened with a minimum deposit of Rs.1000 at any time after the birth of the girl until she turns 10. The account remains valid and operative for 21 years from the initial opening date and can be closed after the girl’s marriage after she has turned 18. The account is legible to be opened by a legal guardian or parent at any time after the birth of the girl until she turns 10. There is no such provision for opening two accounts in the name of the same girl. 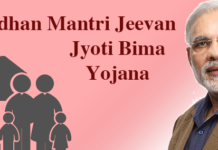 To open an account, the birth certificate and Aadhaar Card (optional) of the girl, in whose name the account has to be opened, have to be deposited at the time of opening of the account in the post office/bank. The depositor (guardian/parent) has to submit the necessary documents relating to his/her identity and residence proof at the time of opening the account. 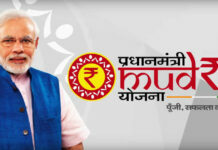 A Sukanya Samriddhi account can be opened with a minimum initial deposit of Rs.1000, and later, make varied deposits in multiples of 100. The maximum limit of deposit on a single occasion or multiple occasions in a fiscal year is Rs.150000. Although the account is operable for a time period of 21 years, deposits can be made only until the completion of 15 years. Between ages 24 and 30 (after the account matures), the account keeps earning interest on the balance. Withdrawals can be made for the purpose of the account holder’s higher education and marriage only after she has turned 18. Withdrawals can be made totaling up to 50% of the credit balance of the particular financial year. Operations of the Account: The account is valid to be opened only before the girl turns 10. After turning 10, she has the privilege to operate her account independently, although, deposits may be made by the registered legal guardian or parent. A bank passbook will be provided to the account holder in which all the deposit amounts, withdrawal amounts, and interest receipts over the course of the account’s validity will be recorded as a proof of transactions. The passbook will be required to be presented to the bank or the post office at the time of terminating the account, as well. 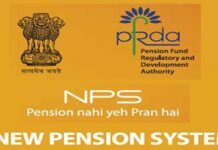 The SYS Account is transferable, that is, the account can be transferred anywhere in India if the girl child has moved to a different city other than the locality or city where the account stands. Maturing of the account: The account remains operational till the completion of 21 years from the initial opening date. The account is deemed matured and no financial operations can take place after the date of the marriage of the girl in whose name the account has been registered even if takes place before the completion of 21 years. An affidavit has to be provided by the account holder if the account is closed before 21 years which states that the girl is not below the age of 18 years. Premature closure of the account takes place in the event of an untimely death of the account holder. The total balance, along with the earned interest, will be paid to the registered guardian or parent of the account holder on presenting the death certificate issued by the competent authority. Conclusion:The Sukanya Samriddhi Yojana is an exceptional step towards building a progressive India where gender equality prevails. With a considerable interest rate of 8.5%, the popularity of these accounts has increased enormously reducing female infanticide in the country.